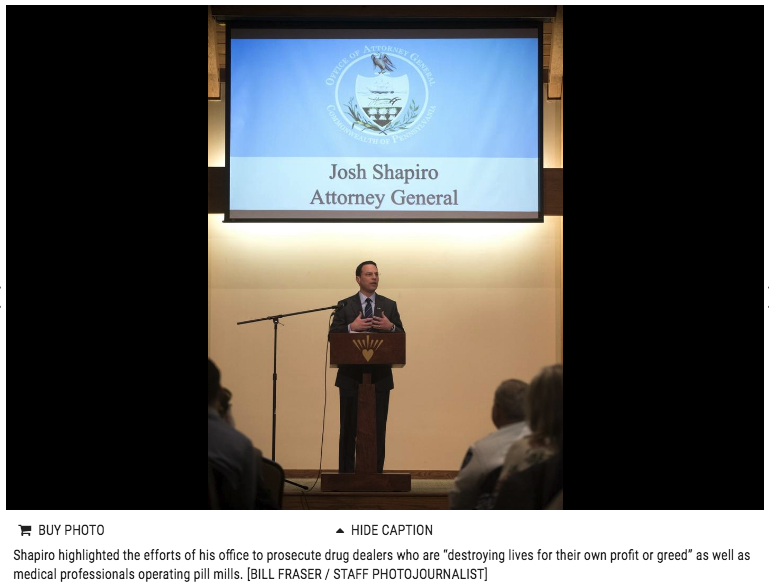 Pennsylvania Attorney General Josh Shapiro, Congressman Brian Fitzpatrick and Bucks County District Attorney Matthew Weintraub were among the guest speakers at the town hall meeting and resource fair hosted by Lubavitch of Bucks County in Newtown Borough. A Newtown rabbi is asking the community to help build an ark in an attempt to save the lives of those drowning in addiction, as opioids continue to flood the country. Speaking Thursday at a town hall meeting and resource fair at Lubavitch of Bucks County in Newtown Borough, Rabbi Yehuda Shemtov announced the launch of ARC House, which stands for Addiction Resource Center. Described as a grassroots effort to guide those struggling with addiction toward those who can help them achieve long-term sobriety, he asked everyone in the room to take out their cellphones and log on to archousepa.org to volunteer. Read the complete story at the Courier Times.